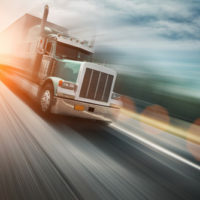 Both the National Highway Traffic Safety Administration (NHTSA) and the Federal Motor Carrier Safety Administration (FMCSA) have recently created rules that would require new large trucks and buses weighing over 26,000 to be built with speed-limiting devices installed. The devices would prevent these large vehicles from traveling at over 60, 65, or 68 mph, depending on the results of the ongoing public comment period and the agencies’ decisions on what speed would be best. “This is basic physics,” said Mark Rosekind, administrator of the NHTSA. “Even small increases in speed have large effects on the force of impact. Setting the speed limit on heavy vehicles makes sense for safety and the environment.” US Department of Transportation Secretary Anthony Foxx also noted both safety and environmental benefits to be gleaned from the use of speed limiters. “Based on the agencies’ review of the available data, limiting the speed of these heavy vehicles would reduce the severity of crashes involving these vehicles and reduce the resulting fatalities and injuries.” The devices, he said, would provide “a win for safety, energy conservation and our environment.” The Department of Transportation estimates that speed limiters could save hundreds of lives and millions of dollars in fuel costs, adding up to an annual savings of nearly $1 billion total. Studies conducted on the safety advantages of speed limiters have proved this to be true. A 2012 study conducted by the Department of Transportation examined the different fatality rates between large trucks with and without speed limiters. According to their research, while trucks without speed limiters had a rate of 16.4 crashes per 100 trucks, those with the devices had a rate of only 11 crashes per 100 trucks. Speed-related crash rates were significantly diminished among trucks with limiters; while 5 of every 100 trucks without limiters experienced a speed-related crash, only 1.4 of every 100 speed-limited trucks had a speed-related crash. Currently, one in ten motor vehicle fatalities results from an accident with a large truck. If you or someone you love has been seriously or fatally injured in a crash with a semi-truck, tractor-trailer, or 18-wheeler in Washington, seek the compensation to which you may be entitled for your injuries by contacting the Vancouver personal injury attorney John Lutgens for a no-cost consultation on your claim, at 360-693-2119.